David Daily has a collection of reviews of The Other Side of Down that are worth a read. Here are a few captions, so head over there to read in full. All twelve tracks are available to hear on AOL! Hey David fans, just wanted to let you know that we’ve just launched a new contest called “The Other Side of David” Fan Fiction contest, where you, the David Archuleta fans of the world, can submit a 250-word essay or a voicemail (call 801.386.8196) telling a story about David, why you love his music, or any other creative ideas you have. There will be 6 finalists (3 voicemails and 3 written entries), and David will pick a winner to get a customized David Archuleta iPad, so be as creative as possible! For more info and to submit your entry, visit “The Other Side of David” Official Contest Page. David performed at the Mentors International 2010 Annual Gala in Salt Lake City, Utah, on 8 October. Thanks to pattirae on YouTube, we have a video of him singing a song he wrote and recorded in childhood. I was thrilled to hear him sing this lovely and powerful song again. Did you watch David today on “10 on Top”? It aired at 11:30 AM ET/PT on MTV. 6 October, appears on Regis and Kelly, ABC-TV. 23 October, Eunice Kennedy Shrive Challenge for Special Olympics, Washington DC. 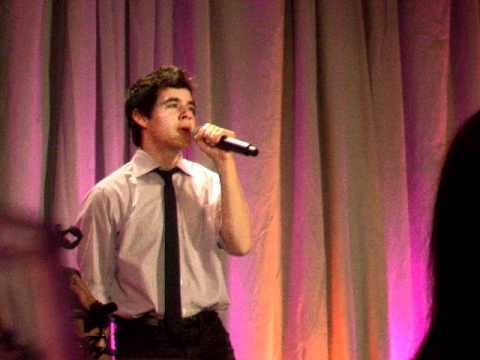 David Archuleta will be the youngest guest performer at the Choir’s Christmas concerts. The free tickets will be available only by random selection. Register online at lds.org/events through October 18 or by phone at 801-570-0080 or 1-866-LDS-TIKS, Monday through Friday, 10 a.m. to 5 p.m.
> My younger sister’s birthday was yesterday on 10-10-10. Fun day to have a birthday haha. Hope she had a good one. > In Canton, Ohio visiting Q92 radio. > Fun event with Q92 at Pete’s Grill. The chef there makes amazing soup so if you’re ever there you need to get some! > In Cuyahoga Falls, Ohio for a lounge performance with WKDD Akron this evening. > Had a really great time at the lounge performance with WKDD in Cuyahoga Falls, Ohio! Thanks for having me and to those who came! > It was a good day today in Ohio! Good night everyone and hope those in Canada had a good Thanksgiving Day! > It’s been a week since the new album The Other Side of Down has come out! Any of you get a chance to listen to it? What songs do you like? > Wow, so crazy about the Chile miners. Glad they’re finally getting out of there! > I love lounge clothes. I love this tweet. Hope David spent all day Wednesday in lounge clothes! > I’m going going, back back, to Cali Cali. It’s been a while since I’ve seen you LA traffic. > At Disneyland! Stuck on one of the rides lol. But been having a great time with the fam! > Had such a blast at Disneyland! Ended the day watching the water show World of Color at California Adventure and then Thai food! > Just tried a Japanese red bean obanyaki. It’s like a pancake. > So just found out for the Pittsburgh Q92.9 radio show that they opened it to all ages!! See you on the 19th! Very soon David Archuleta will have 500,000 Twitter followers! Will you be lucky number 500,000? Follow DavidArchie on Twitter. Today he has nearly 498,000 followers. During the past 25 weeks, David has averaged 5711 new followers each week. 21 Questions with David Archuleta. 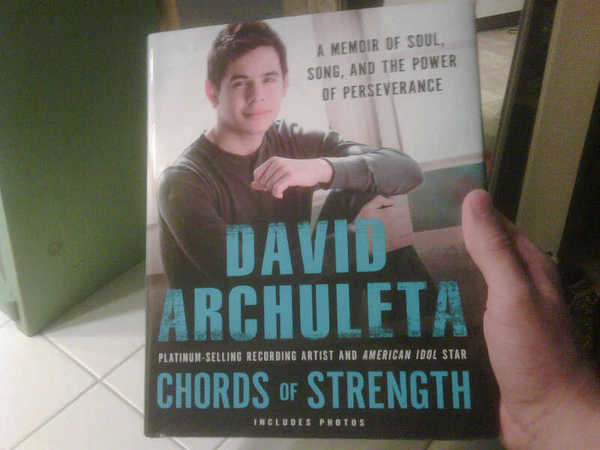 You may think you know everything about David Archuleta. On Alloy TV he answers 21 questions. Listen to his giggle when he sees a complex math problem. haha! What a perfect way to celebrate the rescue of the 33 Chilean miners! 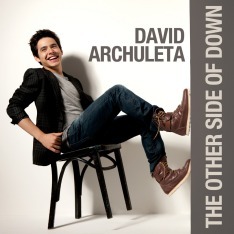 Song, “The Other Side of Down,” by none other than David Archuleta. Last week David Archuleta’s “Something ‘Bout Love” music video was at number 1 on Musiqtone. The new voting cycle ends 20 October 2010 at 10 am ET. According to the confusing Top 12 Leaderboard, David Archuleta, who looks exactly like Carrie Underwood, is leading with *her* song, “Mama’s Song,” and David’s song, “Something ’bout Love,” is sung by Taylor Swift. Let’s vote for David Archuleta’s “Something ’bout Love,” and help Musiqtone out of this state of confusion. Over on Archuleta Fan Scene, Osarko cracked me up with her rave review of TOSOD. She goes so far as to quote her own 2008 blog comments about David when he was a contestant on Idol. To prove that she loves David’s new album, she is giving away three copies of the CD. The giveaway promo ends on Thursday, October 21, at midnight PST. Osarko says the winners will be randomly chosen, but you might have a better chance if your comment sounds punk-rockish. Thanks for the weekly wrap. My one stop shopping for everything DA! lol. Is it strange that even two years later when I watch an interview of David I’m grinning ear to ear? It still cracks me up after all this time. David is so funny sometimes! And has quick reflexes. Yep, Minja, That one is a classic!